With this guide, you can explore lively Dublin, quaint Kilkenny, and the moss-draped ruins of the Ring of Kerry. Navigate meandering back roads that lead to windswept crags on the dramatic Dingle Peninsula. Explore Ireland's revered past by following St. Patrick's footsteps to the Rock of Cashel. Marvel at Newgrange, the mysterious mound older than the pyramids; then connect with today's Irish culture by grabbing a pint at the local pub, enjoying the fiddle music, and jumping into conversations that buzz with brogue. Rick's candid, humorous advice will guide you to good-value hotels and restaurants. He'll help you plan where to go and what to see, depending on the length of your trip. You'll get up-to-date recommendations on what is worth your time and money. 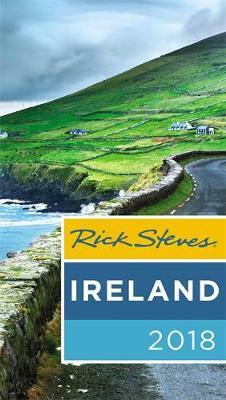 More than just reviews and directions, a Rick Steves guidebook is a tour guide in your pocket.